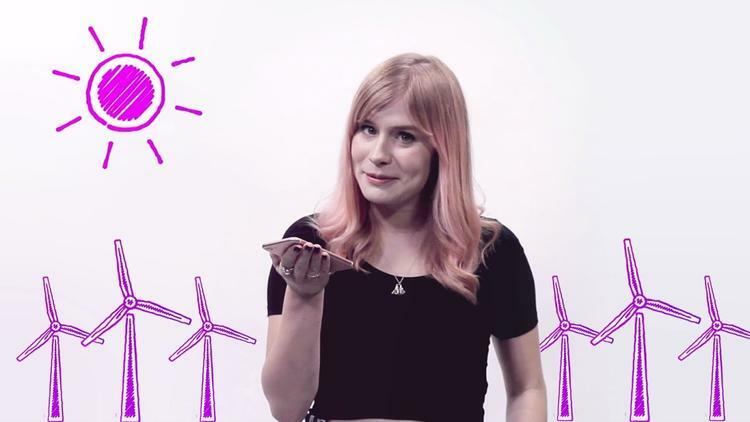 Is a Transition to Renewable Energy on the Verge of Being Unstoppable? A fair amount of confusion was recently created when Rick Perry, secretary of the Department of Energy, filed a notice of proposed rulemaking (NOPR) that claimed the “base load” generation provided by coal and nuclear was essential for a reliable and resilient power grid. Perry’s proposal has been defeated, quite correctly in our view, but it raises issues and teaches lessons that are important in moving forward with the all too necessary transition to large-scale use of renewable energy. In Perry’s proposal, coal and nuclear are described as providing needed security due to their ability to store 90 days of fuel on site. Perry argued that today’s electricity markets do not provide economic security for essential coal and nuclear power generators. He proposed that they (coal and nuclear generators) should receive special financial treatment — subsidies paid by the customers — in order to recover their full costs. On January 8, the Federal Energy Regulatory Commission (FERC) rejected Perry’s NOPR, with the five commissioners (four Trump appointees and one Obama appointee) voting unanimously against the proposal. Although the proposal is now off the table at FERC, it received some support at a more recent U.S. Senate hearing and may stage a comeback. In any case, Perry’s proposal created questions that remain: What exactly is base load and what role does it play in the electricity grid? The transition to renewable energy is too important to be put at risk or even delayed by confusions, whether intended or not. Let us be clear, then, for this will yield insight into the coming of renewable energy at large scale. Shown in Figure 1, the top (solid) curve is the variation in total power demand, or total load, over a week in the summer. Base load (below the dashed line) is simply the non-varying portion of the load while the varying load is simply the variable portion of the load (between the dashed and solid lines). That is all there is to the distinction. Base load can be supplied by either inflexible generation (historically coal and nuclear) or flexible generation, while the varying load needs flexible load-following and peaking generation capabilities that have historically been provided by natural gas plants in the U.S. Figure 1. 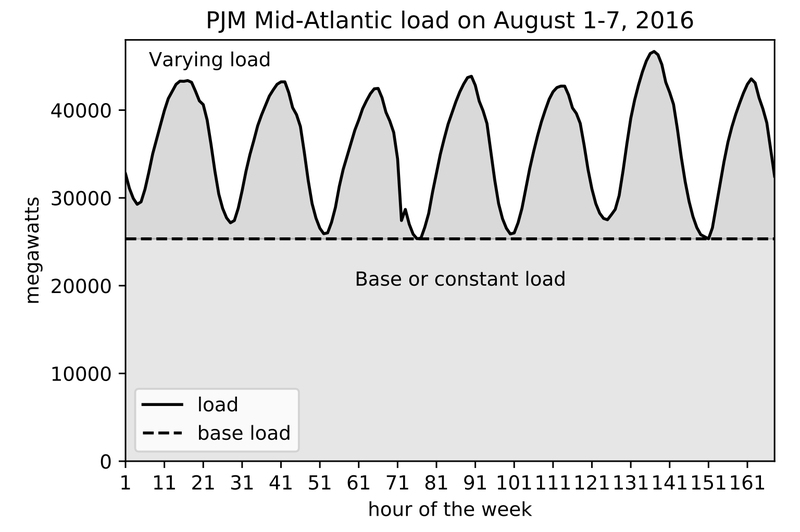 Data from PJM. Even though coal and nuclear are usually described as base-load generators, base-load generators are not a particular type of equipment, but rather a mode of operating the equipment. Figure 2 helps reveal the economic reasons why a generator would be operated in base-load mode. The figure shows how energy prices can vary quite a bit depending on how much energy is being generated at a given moment and the type of fuel being used. The “capacity/utilization factor” shown along the horizontal axis of the graph simply refers to the fraction of time the generator is actually operating. The natural gas combined cycle (NGCC) capacity factor is represented by three curves, with natural gas (NG) fuel prices of $9 per million BTUs, $6/MBTUs, and $3/MBTUs. In 2006 the price of NG peaked at over $13/MBTUs and, primarily as a result of fracking, current prices have been under $6/MBTUs since 2010. Figure 2 shows how differences in natural gas (NG) pricing alters the economics of generation of different fuel types. At high NG prices, represented by $9/MBTUs, coal and nuclear power plants are only economical to operate at high capacity factors, and for this reason they have typically been operated at maximum capacity factors as base load plants. On dropping to $6/MBTUs, the cost of natural gas plants is at, or below, that of coal and nuclear over the full range of capacity factors. This helps explain how the recent and current low natural gas prices —which are projected well into the future — have been disrupting the economics that made coal and nuclear previously economically competitive under some circumstances. In some other countries, coal generators are used for load-following because natural gas is at a premium. This happens, for example, in Ukraine. It does not happen in the U.S. normally because the price of natural gas (NG) generation is the lowest at the lower capacity factors often used in load following. Figure 2. After Energy for Sustainability: Technology, Planning, Policy, 3rd ed., by Randolph and Masters; used with permission. The world has been working to build a modern grid, one with greatly reduced greenhouse gas (GHG) emissions, and one that also has improved reliability and resilience. Even so, the most important consideration today is still the cost. Can the older grids deal with the continuing loss of nuclear and coal power plants, without building new plants to replace them? In principle, because of its flexibility, all electricity generation could be replaced with natural gas plants (NGCC, natural gas combined cycle and CT, combustion turbines), assuming there is enough natural gas available for peak times and the transportation system can deliver it to where it is needed. This has not been a serious problem of late in the United States, but of course it always needs to be studied and monitored as the generation mix evolves. With the rapid growth of renewables that produce no GHGs, however, there are even more interesting options than natural gas alone as replacement. Here we assess base load generation synthesized from a generation mix composed of natural gas and solar, a renewable, in order to demonstrate the potential for replacing coal and nuclear base load plants. Renewables, particularly wind and solar, are said to be intermittent because their availability comes and goes, and cannot be controlled. This poses a challenge to incorporating them into electric power grids, especially for base load (constant) generation. The challenge is not a major issue at low levels of renewables, which we see today. Rather, the problem is how to run an electric power grid on a long-term basis with, say, 60% or more of its power provided by renewable sources. Some problems, while real enough, can be overcome. 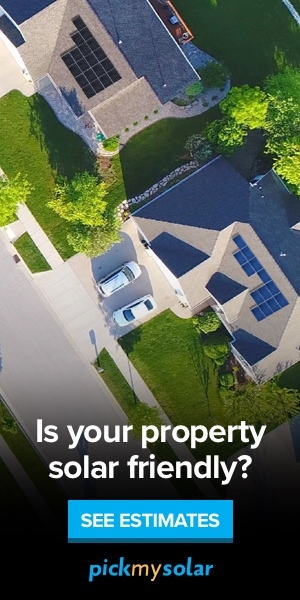 Can this one be overcome? Figure 3. Energy block combining solar and non-solar generation to produce constant (base load) net output. 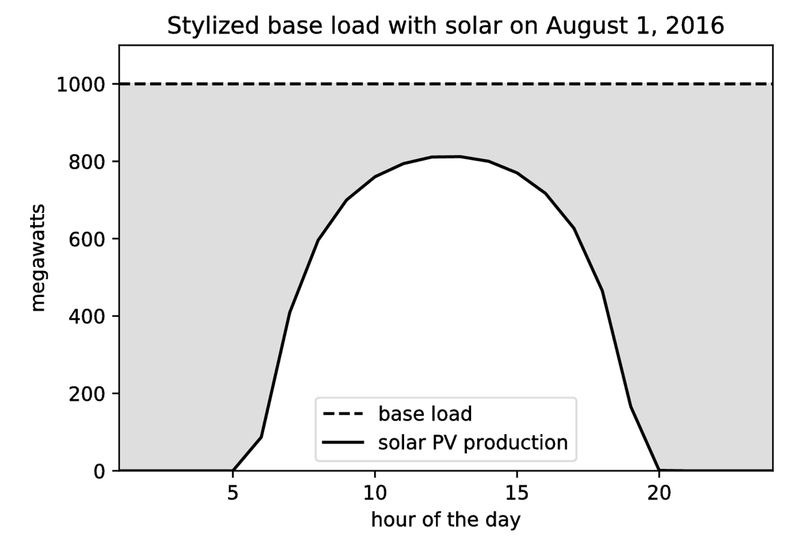 Figure 3 shows a stylized base load demand (“energy block”) example. In the figure, there is a constant demand of 1 gigawatt over a 24-hour period (about what a nuclear power plant would produce). This is shown by the dashed line in the figure. We have also drawn production from a hypothetical solar farm (or collection of farms) for August 1, 2016, based on solar radiation received at the Philadelphia International Airport. In the example then, the base load demand for the day is 24,000 MWh and the solar farm produces about 8,515 MWh, or 35% of the total demand, as shown in the figure. Could the solar production possibly be useful to the base load, even though it hardly provides on its own the required generation to meet the stated base load demand? In conjunction with nuclear or coal generation, the solar is not very useful because nuclear and coal are inflexible and cannot be scaled back economically to follow the solar production and maintain the constant 1 gigawatt. But combined with natural gas combined cycle (NGCC) plants, it is possible to maintain a constant net production, as required, by adjusting the NGCC output in response to the varying solar generation. 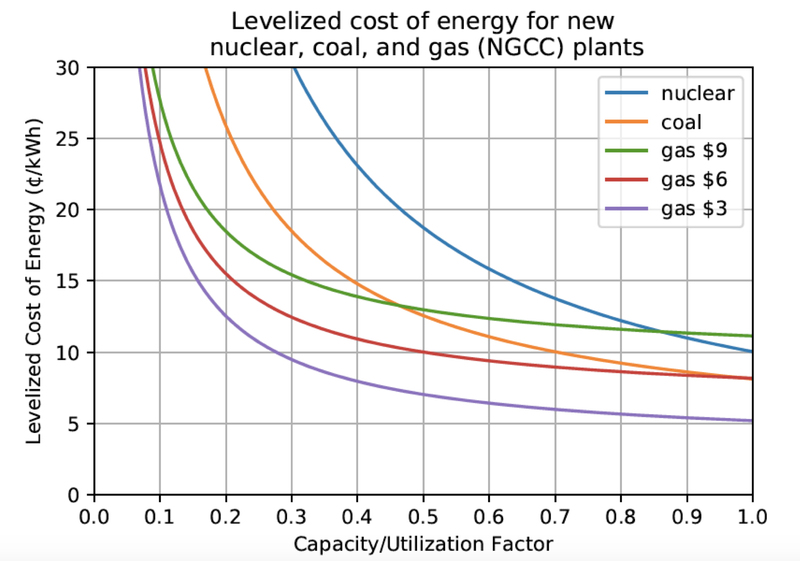 With NGCC cheaper than coal and nuclear, and solar competitive with or even cheaper than NGCC (at the relevant capacity factors), it may well be both technically possible and cheaper to synthesize a base load (constant) output. And of course, wind, hydroelectric, and other renewable generation sources can be brought into the mixture. Here we have discussed only solar plus natural gas combinations for base load synthesis, but similar exercises can be used for other renewables, such as wind and hydroelectric, with integration of all renewables as the goal. What does this all mean going forward with the transition to renewable energy? There are inevitably challenges to synthesized base load arrangements (“synthetic base load”) at high levels of penetration of renewables. If you combine renewables with NG plants to synthesize base load (constant) generation, the main challenge issue may be generator ramp up rate. Can the NG plants adjust fast enough to meet the solar decline on summer afternoons as air conditioning load is increasing? If the plants cannot, are there economic ways to assist the transitions, such as storage, demand response, peaker plants, and curtailing renewables modestly at times to give the gas plants more time to ramp up and down? Some utilities have had to take extra measures to guarantee ramping availability. These are engineering and management questions that can be resolved objectively and that have been resolved successfully to date. Another issue to consider is what happens when the solar penetration increases to the point where the solar peak power exceeds the required base load level, as it has done in Hawaii on occasion. On an island like Hawaii, using storage is the most apparent solution, but in a widely connected grid a range of solutions is possible for addressing the excess. And of course, curtailment of the solar power and wind power input always remains a possible option. That said, combining multiple sources of renewable and non-renewable electricity to synthesize base load generation is being done today and is a large part of why the Perry proposal is such a non-starter. This is not to say that base load synthesis at a competitive cost is trivial or without challenges at high levels of penetration of renewables. Instead, we would emphasize that this —the base load synthesis problem — is a challenge that supporters of the energy transition would do well to embrace. Meeting these challenges successfully — demonstrating that sufficient electric power can be generated economically and reliably — would make the transition to renewable energy unstoppable. Acknowledgement: We thank Roberta Fallon and Ed Gruberg for insight and clarifying comments on earlier versions of this piece.